1 Who is Shaniece Hairston? 6 Is Shaniece Hairston on Social Media? Shaniece Hairston was born on 15 June 1993, in New York City, USA, of at least part-Puerto Rican ancestry, and is a model and reality television personality, probably best known for being a part of the television series “Livin’ Lozada”. She is the daughter of another reality television personality, Evelyn Lozada. How rich is Shaniece Hairston? As of mid-2018, sources estimate a net worth that is at $3 million, mostly earned through a successful career in modelling and on television. She also runs her own blog focusing on lifestyle, fashion, beauty, and fitness. As she continues her endeavors, it is expected that her wealth will also continue to increase. It is known that Shaniece grew up in New York City, and is the oldest daughter of another model and television personality, Evelyn Lozada, best known as one of the five main cast members of the reality television series “Basketball Wives”. She’s also been a part of numerous other television shows mainly as the star though she has made guest appearances as well. Shaniece was born when her mother was just 17 years old and the details of her father were never shared publicly, but presumably his surname is Hairston. Her mother became known for having high profile relationships later in her career. Evelyn became engaged to National Basketball Association (NBA) player Antoine Walker and they had a 10-year relationship from 1998 to 2008. She was also previously married to National Football League (NFL) player Chad Johnson but the marriage eventually ended in divorce following domestic abuse charges, which led to a year of probation for Johnson. 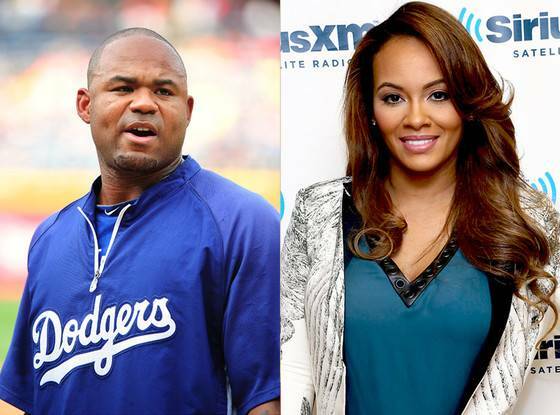 In 2013, she then had a relationship with former Major League Baseball (MLB) left fielder Carl Crawford, who is known for his nickname “The Perfect Storm”. They were engaged in 2013 but called off their engagement in 2017. They had a son who is Shaniece’s half-brother. In 2015, Hairston started to gain popularity when she signed with notable modelling agency Wilhelmina based in Los Angeles, California, having already worked on several photo shoots. She also started getting featured in various publications, including on Vibe and Shoestring. She continued to get more projects over the next few years and also became a part of the television show “Livin’ Lozada”. The reality television series focuses on her alongside her mother and is a part of the Oprah Winfrey Network’s Saturday night reality show lineup. The first season began in 2015 with a total of eight episodes while the second season was released the following year with another eight episodes. However, the show was soon cancelled after Evelyn decided to return to her previous show “Basketball Wives”, as the show wanted to revamp and include her in a sixth season. The show focuses on a group of women who have been romantically linked to professional basketball players in the NBA. Since “Livin’ Lozada” ended, Hairston focused once more on her modelling career. For her personal life, it is known that Shaniece was in a relationship with rapper Sean Kingston, but that lasted for only three months. Kingston initially found popularity through his self-named first album, which contained numerous hit songs such as “Beautiful Girls”. He would later release more hit singles such as “Fire Burning” and “Face Drop”. Shaniece then had a relationship with former soccer player Zat Knight who is known for his play with the English Premier League, mainly as a center back and with various teams including Fulham, Bolton Wanderers and Aston Villa. He also represented England several times throughout his career. They’ve been together for more than three years, and there is no sign that their relationship may end any time soon. Some sources are even speculating that they might marry in the near future. Is Shaniece Hairston on Social Media? Similar to numerous models and television personalities, Hairston is very active on social media through various major social media websites. She has accounts associated with Twitter, Facebook, and Instagram; her Twitter account is the least active as she hasn’t posted on it since 2016 when “Livin’ Lozada” ended its run. Her Instagram account is the most active which showcases some of her latest photo shoots, travels, and daily endeavors. She also does sponsored posts from time to time. Her Facebook page mainly re-posts most of the content which can also be seen on Instagram. She also has a personal website which serves as a fitness, lifestyle, beauty, and fashion blog.